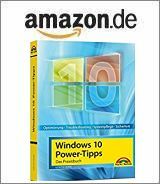 [German]Interesting information for owners of a Windows 10 version 1511 version. Actually, the support of this version should have ended last month. Microsoft’s Windows as a service approach means, that Windows 10 builds to stop receiving updates about between 18 months and 2 1/2 years after the release. The only exception is Windows 10 Enterprise LTSC (Long Term Services Channel), which will be supported for 10 years. In my view, the Windows as a service approach with end of support after 18 months to 2.5 years after release doesn’t seems to work. Well, in some rare cases, there could be an exception. But now it seems the exception becomes normality. Windows 10 V1507 (RTM): The support period has been extended by several months until May 2017 (see Windows 10 RTM support ends May 9, 2017). Windows 10 V1607 (Anniversary Update): In this version, the support period has been extended until 2023, after the Clover Trail disaster (see Windows 10 support for Clover Trail machines till 2023). Ok, ok, Windows 10 V1511 is missing, and the end of life has been set to October 2017? Wait, not yet. Many customers have already made significant progress implementing these changes, including MARS, Kimberly-Clark, and Accenture. To help some early enterprise adopters that are still finishing their transition to Windows as a service, we will be providing a supplemental servicing package for Windows 10, version 1511 for an additional six months, until April 2018, providing updates to address critical and important security issues that arise during that time. These updates will be available to anyone using Windows 10 Enterprise, version 1511 or Windows 10 Education, version 1511. Updates will be offered via all normal channels, including Windows Update, WSUS, Configuration Manager, and the Windows Update catalog. Ups, my reading between the lines: There has been a few customers foolish enough, to migrate early to Windows 10 and Windows as a service and hanging now around, not able, to upgrade to newer builds. Whilst consumers are thumb enough to be send to the next shop to buy a new Windows 10 machine, in business it seems a bit an issue with this ‘Windows as a service’. Or freely spoken, I would interpret it in a way, that the customer’s pressure at Microsoft was huge enough, to force their management and marketing folks to prolong the support period for Windows 10 V1511 for another 6 months. At the end of the day, Microsoft is reliable: They announce something, they discontinue that thing and they extend support a few days later – that’s how it works. A prankster who tries to interpret between the lines could probably come to the impression, that the ‘Windows as a service’ thing doesn’t works. You know that, I know that, only Microsoft seems still dreaming about that development scheme. Now I’m curious to see what’s happens in January 2020, when support of Windows 7 and Windows Server 2008 R2 shall ends. What do you think? This entry was posted in Update, Windows and tagged Support, Windows 10 V1511. Bookmark the permalink.